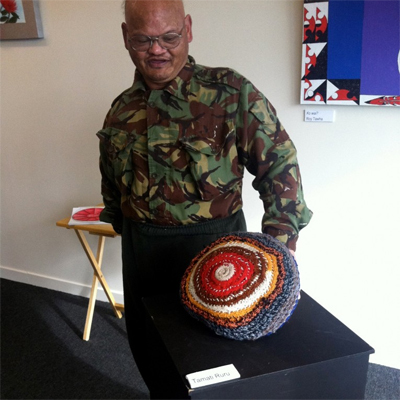 K.A.P Bryant graduated from University of Otago with Bachelor of Physiotherapy 1994, and recently submitted her Masters Thesis, “He Kiteka Hauā i Murihiku. Perspectives of disability of hauā Māori living in Murihiku”, which described in greater detail the qualitative aspect of the Hauā Mana Māori project, addressing realities for Southern New Zealand indigenous peoples living with disabilities. She is currently employed at the University of Otago School of Physiotherapy as Kaiārahi Māori/Māori Liason, teaching cultural competence, supporting things Māori and facilitating the Māori Strategic Framework. Katrina is interested in indigenous perspectives of research and rehabilitation, particularly with respect to physiotherapists engagement with Māori communities and encouraging relevant approaches to rehabilitation services and research in this area within Māori whānau(families), hapū (subtribes) and iwi (tribal groups).